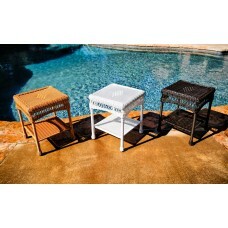 All of these outdoor side tables are pretty enough to work well indoors, too. 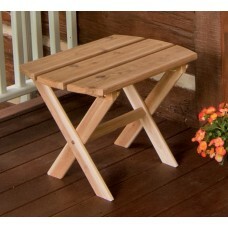 Wherever you use them, you'll love the sturdy construction and craftsmanship that went into each one of our offerings. Each patio side table is a fine compliment for the rocking chairs in our collection, from the Bob Timberlake Lodge Side Table to the rustic Care Guide cedar side tables. 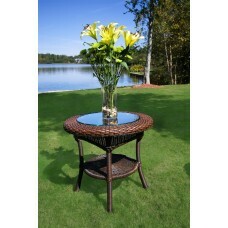 If you need a place to put your book, your drink, or a fine centerpiece just browse this full collection of side tables now. 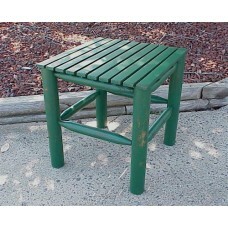 It's the little things that make a set of outdoor furniture great. 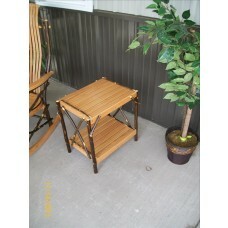 If you hadn't given any thought to accent tables then now is the time, because having a little matching table truly makes your rocking chair set shine, transforming a single rocking chair on a porch into a full outdoor room that you can be proud to share with your family and friends. 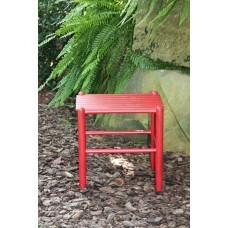 Many of our side tables correspond to rocking chairs in our collection by brand and by color. We've even seen some people create beautiful effects by mixing and matching. No matter what your style is you're sure to find something that pleases. 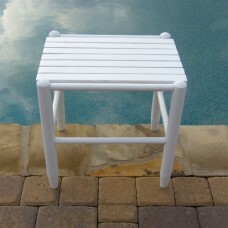 We have side tables made out of beautiful hardwoods and side tables made out of recycled HDPE plastics. 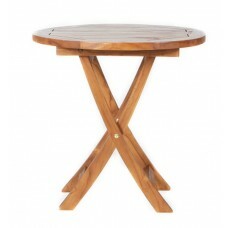 We have them in a variety of shapes, from squares to ovals to round two tiered glass topped tables. 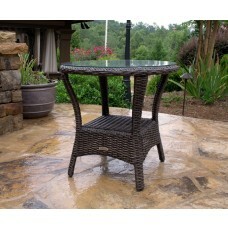 Just browse our full collection of patio side tables above so you can order the one that you love the most.